These digital pattern designing instructions are intended for use with your patterns drawn from the Sure-Fit Designs fitting and sewing kits. In this particular instance the kit used is the Shirt Kit. Lest we forget our men, it's high time we had a special Fashion Leaflet for a man's shirt. 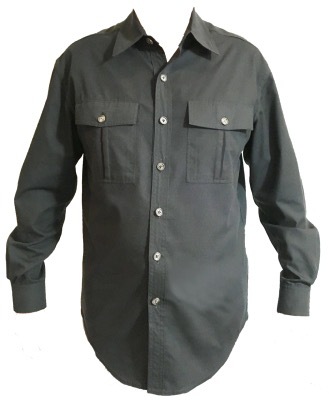 Use your SFD Shirt Kit and create him a comfortable and fashionable shirt. It takes a little sewing time due to the pockets, collar and stand and all the top stitching, but your labour of love will be well worth it.This Fashion Leaflet will give you all the designing and drawing details. Plus Glenda shows you how to sew it together. Have fun with this design and if the style suits you, consider sewing a his and hers.